In 1854 David was deeded 120 acres of land from the Federal Government that encompassed both sides of France Avenue, bounded by present-day Randall Ave. on the north and 38th Street on the south. This plot included both sides of Excelsior Blvd. between Joppa and into Minneapolis. Pratt seemingly sold the land to H.B. and Sarah Wright in 1858. Rebecca and died before 1860. When Pratt died in 1864 his land reverted to his estate, the proceeds to be sold and distributed to his children. Executors were brothers Miles G. Pratt, Nelson J. Pratt, and neighbor Alonzo Sawtell. The land was sold to Christopher Hanke for $1,500 in 1864. In 1865 the Census shows the children living with their grandparents, James and Sarah. For some reason, at age 42, with the Civil War in its third year, Miles enlisted in the 1st Regiment Minnesota Infantry on March 30, 1864, for a bounty of $60. Whether he made it to battle is unknown to us – he died on April 23, 1864. Ruth is shown living in St. Louis Park in 1865. In the spring of 1879-1880 Joe and John Empanger went to Minneapolis with their supply of eggs and butter which they had to sell. On their way home [along Excelsior Road] they stopped to visit with George Pratt while they rested their oxen. the Pratt farm was located where Engel’s Dairy and Sandpit in St. Louis Park is now. Naturally the conversation turned to the condition of the markets and the prices of farm produce. After prices had been discussed, Mr. Pratt laughed and said, “I have something that will bring twice that much.” When Joe and John asked what that could be, they were shown a small patch of Philadelphia raspberries. Mr. Pratt gave them some plants which they planted on their farm. At about this same time or a little later, Mr. Jackson, who was also an early experimenter, had a patch of Turner raspberries. From this modest beginning, the neighbors began to establish plantings on their farms. The farmers experimented with these plantings. Usually the berries were tied in the hill and it was found that the canes were so high that they were whipped and damaged by the wind. The next step for John Empanger and his father was to go to the nearby tamarack swamps and find stakes to which they tied their berries. Joseph Smetana and John Feltl also adopted this idea. Here was the beginning of a practice which is now accepted as standard. Martin Van Buren Pratt was born in Clinton, Maine on November 10, 1833, and moved to the Midway district of St. Paul with his parents James and Sarah at age 17. Pratt began buying land in Section 6 as early as 1855. Most of the 240 acres later became the Belt Line Industrial Park. He married Harriet Hawkes (born 1842 in England), who had come to Hennepin County as a child, on May 15, 1858 – described as the first “authentic” marriage in the township. Living for a time on a farm in Richfield and in Colorado, in 1860 they settled on 210 acres in Section 6, with a farmhouse on Excelsior Road. Pratt was a member of Brackett’s Battalion during the Civil War, serving from December 11, 1861, to October 28, 1864. He was a member of the Patriotic Order Sons of America. MVB Pratt died on March 19, 1891. There were two Job Pratts. One may be the son of the other, but online Census records don’t go back that far. Job Pratt was born in 1800 in Maine. Job married Mary Chesley, who died while they were still in Maine. Olivia Pratt, who married Joseph Hamilton. Olivia gave birth to son Chesley on November 24, 1857 – perhaps the first white child born in the area that would become St. Louis Park. Chesley’s marriage to Rebecca Hunter on October 17, 1888 in Union Church was also said to be the first in the incorporated village. Olivia died in April 1864. Jay Pratt, born 1841. Served in the Cavalry in the Civil War. 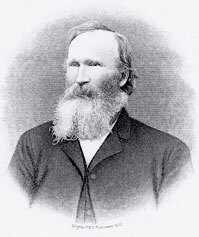 James Pratt, born 1844. Served in Company D, 6th Regiment (presumably 1st Minnesota) in the Civil War. Chesley Pratt, born 1837 – Served in Company D, 6th Regiment (presumably 1st Minnesota) in the Civil War. The family moved to St. Louis Park in 1855, filing for a 45-acre lot in section 21 on September 7. He apparently had a second wife Polly, who was said to be the “first to be taken to her long home,” passing away in 1856 or ’57. Job married Ann (born 1813), as indicated in the 1860 Census. In 1865 the household included Job and Ann, Jay and James, Job’s son-in-law Joseph Hamilton, his new wife, son, and wife’s siblings. By 1870 Job had moved to Minneapolis. He died in 1879. The family was in St. Louis Park in 1865. Job J. died on November 16, 1897 at the age of 67. By 1900 mother Missouri and daughter Ida were living together in Minneapolis. Rufus Irving, born in 1872. In 1895 he was a law student. By 1895 they were living at 2700 Plymouth Ave. in Minneapolis and his occupation was listed as real estate. Stephen Pratt is listed in the 1881 directory in Section 17 but with no acreage. The 1880 census reveals that he was born in Maine in 1828 and his wife’s name was Jennie M. Curtis. They had a son Herrick C., born in 1861. Stephen enlisted in the Minnesota Cavalry Mounted Rangers on October 9, 1862, listing his home town as Industriana, which was part of Brooklyn Township. He was mustered out as a Corporal on October 20, 1863. He died on March 14, 1886 in Minneapolis.